The Project has explored what works for or against effective emergency responses. Its final report, Bridging the emergency gap, draws on the Project’s thematic papers and case studies, and consultations with more than 150 senior-level representatives from 60 key organisations across the humanitarian sector. The emergency gap is the failure to ensure lifesaving services in the right places at the right time, particularly in the first year of an acute crisis, and is a shared concern across humanitarian organisations. 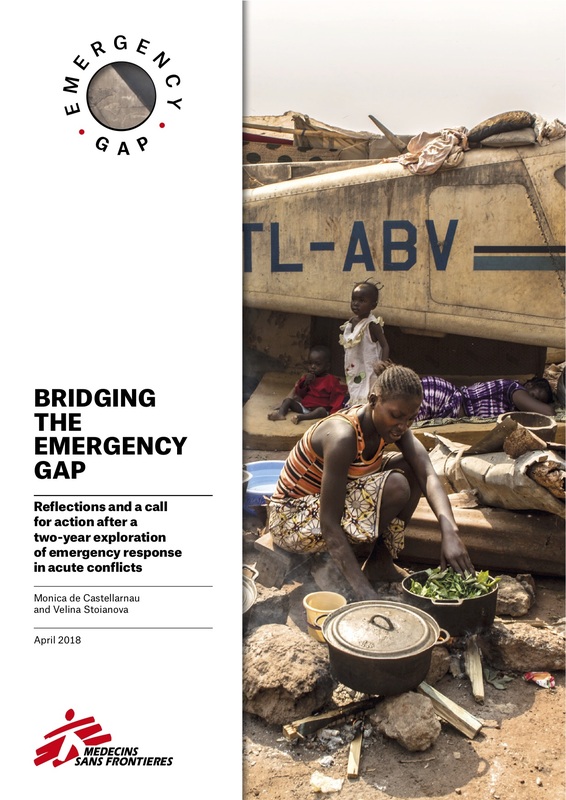 Bridging the emergency gap argues that while powerful external forces contribute to the gap – including the politicisation and obstruction of humanitarian aid – it is also fuelled by internal factors that are within the sector’s control. It highlights crucial flaws in three key elements. The humanitarian imperative – the moral obligation to alleviate suffering – is now part of a wider agenda, with pressure to align humanitarian action with broader developmental, political and stabilisation goals. There are concerns that emergency response may be subsumed in the pursuit of long-term ambitions, such as the Sustainable Development Goals (SDGs), counter-terrorism, state-building and other geo-political agendas. The humanitarian sector is failing to capitalise upon the diversity of its actors, approaches and operational models. Instead, coordination, planning and funding streams are rooted in around UN-led architecture and processes, which can often favour coherence over agility and timeliness. The humanitarian mindset has become conservative, risk-averse and cost-obsessed. Those consulted for the Project spoke of accountability and compliance norms that restrict their ability to accept risk, whether they were humanitarian organisations under pressure from donors, or donors under pressure from taxpayers and parliaments. The risks that are inevitable in conflict emergencies are often treated as unsurmountable obstacles, rather than an operational challenges to be overcome. Bridging the emergency gap argues for the reinstatement of emergency response as a critical area of humanitarian intervention. It calls for renewed commitment to remain on the ground to address critical needs and deliver responses at scale – even in the most difficult environments – guided by the principles of humanity, neutrality, impartiality and independence. Bridging the emergency gap aims to spur a more strategic debate on how to build a humanitarian sector that deploys on time, stays on the ground and delivers better in conflict.